Like so many people of that time, Stan Hall was influenced by the flight of Charles Lindbergh. But to persist as Stan did, there had to be a gene, also - aviation and especially soaring. His first flight was at age four when he flew in a Curtiss JN-4 Jenny sitting on his mother's lap. Many years later he still remembered the pilot's name - Seely Blythe. His first attempt at his own flying was at age 12 when he assembled what he thought was a glider. Fortunately his parents put a stop to that venture thus saving Stan for his future accomplishments. At last in 1931, his dream of flight was achieved. He built and crashed three more gliders in the next four years - a practical learning system. In 1936 he realized he needed more formal training instead of his crash and build system. Based on his aircraft building experience and his good high school grades, he was hired by North American Aviation in Los Angeles as an engineering draftsman. The on-the-job training worked well as he was involved in the design of the company's major aircraft of the time. Soon Douglas began working on cargo gliders and stole him away from North American. However, he wanted to fly! Near the end of the Douglas glider program, he left to join a civilian contract flying school in Wickenburg, Arizona, where he taught young staff sergeants to fly training gliders in preparation for flying the large cargo gliders. Later he taught aviation cadets to fly Stearman PT-17s. When the war ended, he went to work for Northrop as an engineering designer and was also an on-call corporate pilot. He continued his 0n-the-job engineering training with Northrop flying wings. As changing aircraft company employment was common in those days, he again moved to join Lockheed Missiles and Space Division, first in Van Nuys, then Sunnyvale. He spent 20 years with that company as a program manager. He also was instrumental in the Lockheed/Army YO-3A Quiet Reconnaissance airplane which saw service in Vietnam. This aircraft was based on a Schweizer design. He used his acquired engineering experience in his personal life to design and build ten gliders - the most famous of which was the Cherokee II. 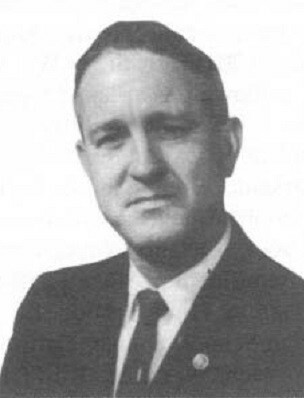 He managed the 1958 Nationals at Bishop, California - the first nationals run officially by SSA. He gave the 1994 Barnaby Lecture and wrote a monthly column for Soaring magazine - Homebuilders' Hall. 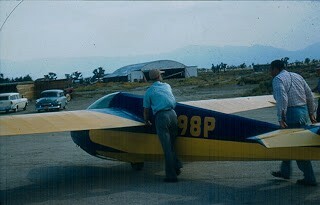 Additionally, he helped form the Sailplane Homebuilders Association which is now the Experimental Soaring Association. He received SSA's Exceptional Service Award in 1980 and holds Silver Badge #288 earned in 1957. He was awarded an outstanding achievement award by the Experimental Aircraft Association. 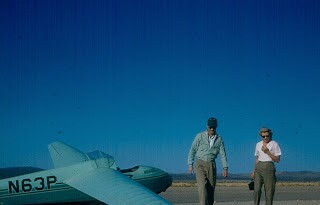 July 21, 1956 First Cherokee II flight (Stan Hall wearing hat). Adapted from The Collected Works of Stan Hall as found in the SSA.org section, Final Glide.